As we know, it’s important to back up registry in Windows for sometimes it can help us resolve registry issues. But do you know how to restore the registry you’ve backed up? If no, don’t panic. This post will show you how to easily restore registry in Windows 10, Windows 8, Windows 7, Windows Vista and Windows XP. Step 1. Type “regedit” into the search box on the taskbar and click on the regedit in the search results to launch the Registry Editor. Step 2. Click on File and then select Import… from the drop-down menu. Step 3. Select the location to which you saved the backup copy and select the backup file. Then click on Open. Step 4. Once the process is finished, reboot your computer. 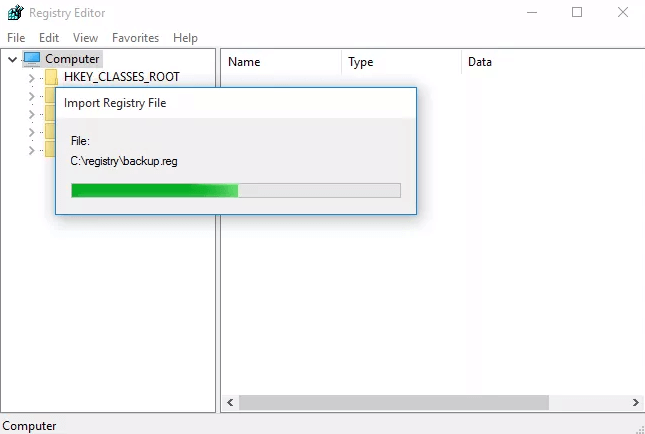 Note: Backup files of the Registry are saved as .reg files. Step 1. Use shortcut keys Windows + R to launch Run. 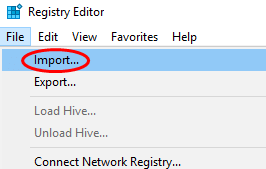 Type “regedit” into the box and hit Enter to launch the Registry Editor. Step 4. Once the process is finished, restart your computer. That’s all. Isn’t it so easy to restore registry in Windows 10, Windows 8, Windows 7, Windows Vista and Windows XP? If you have any other questions, feel free to leave comments below. More solutions to other computer issues like blue screen, black screen, reboot loop, no WiFi and no Internet can be accessed here.